Almost exactly one year ago, storm clouds had gathered over Chipotle HQ. Its stock price tumbled following survey findings that showed its reputation was in worse shape than it was during the 2015 E.coli outbreak that sickened hundreds of customers. Months later, a gastrointestinal illness broke out among more than 600 customers who’d eaten at an Ohio location in summer 2018. Its confidence shaken, America just could not forgive Chipotle. But it’s always darkest before the dawn, right? 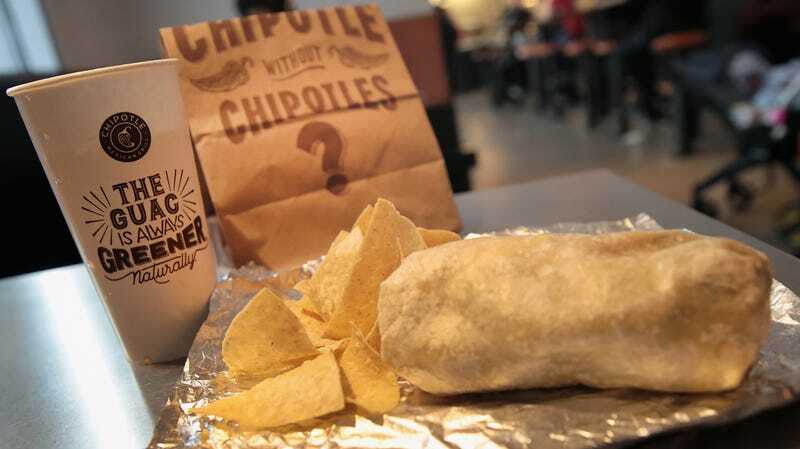 Analysts think that with 2018 in the rearview, this year could really mark the comeback for Chipotle. With a new CEO in place since March of last year, the company hopes a change is on the horizon. Chipotle’s fourth-quarter 2018 numbers show increased sales, increased consumer spending per order, and that news lifted the company’s stock 10 percent, per QSR Magazine. Same-store sales growth at the end of 2018 was the best the chain had seen in six quarters. The numbers “suggest one of the best runs in recent memory is coming,” QSR boldly predicts. Now, it’s up to Chipotle to take that momentum and run with it. First up is a series of commercials directed by Oscar-winning filmmaker Errol Morris (first: The Fog Of War, now: Behind The Foil… no, really). The “Behind The Foil” ads will focus on taking customers into Chipotle’s kitchens and to its ingredients’ farmers, aiming to create transparency in the supply chain and cooking process. According to MarketWatch, Chipotle will also stream video of food-prep at one California location on Facebook today. The ads are designed to regain consumers’ confidence in Chipotle’s kitchens and safe food handling efforts.